Various Artists - Diggin In The Carts : A Collection Of Pioneering Japanese Video Game Music. Vinyl LP, CD. Bleep. 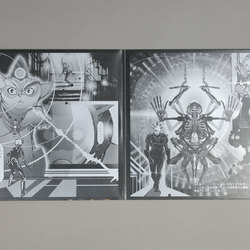 Hyperdub is the perfect home for this compilation. Considering so many of the genres that the labels works with - footwork, grime, dubstep, hip-hop - are heavily influenced by 8-bit, 16-bit and chiptune, it makes complete sense for the label to drop a collection of important early video game music. 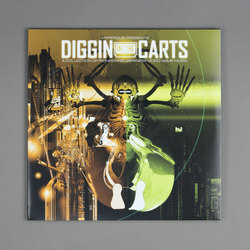 Collated in accordance with the hit Red Bull Music Academy series Diggin in the Carts, the album features music from games like Nemesis III and Time Cruise II. 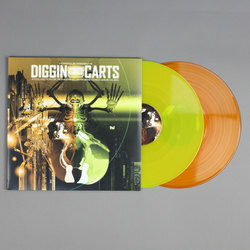 With specialist ‘VGM’ labels like Data Discs doing a fine job of bringing seminal soundtracks to wax, Diggin In The Carts could be the release to take the genre to the next level. This first run will be released as CD and download, with a vinyl pressing coming in 2018.